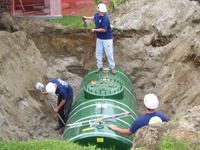 Whether you are replacing existing fuel tanks or in need of a new petroleum tank installation, we have the experience to get the job done quickly with expert precision. We have all necessary state certifications for VT and New Hampshire. Our commitment to precision and our high standards has provided us with an excellent reputation with environmental agencies and insurance companies. 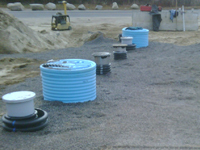 We have installed and replaced hundreds of tanks in New England, built bulk fuel facilities and worked with residential, commercial and industrial facilities. We offer free estimates, the best service and competitive prices. 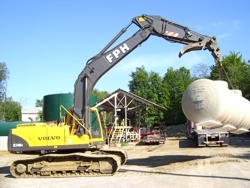 Our staff has the experience and knowledge to assist in your layout, equipment specifications and construction of your new petroleum tank.